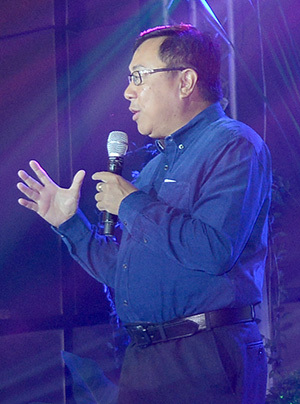 CEBU CITY (March 2, 2016) — Cebu Landmasters, Inc. (CLI) chief executive officer Jose R. Soberano III has reaffirmed his company’s commitment to contribute to Cebu’s growing need for more intelligent office spaces. This he said in support to the call of the newly promoted assistant regional director of the Department of Trade and Industry (DTI) in Central Visayas, Nelia V. Navarro, for developers to invest into office development. She further expressed the need for Cebu to have more office spaces to offer to investors now that it is the world’s 7th most preferred BPO destination, according to Tholons Capital. The company allocated six floors of the 21-storey Tower named Base Line HQ for offices, primarily BPO’s that can start to ingress by the last quarter of 2018, according to Rose Yulo, the company’s AVP for sales and marketing. The offices are located on the third to the eighth floors, while the rest from the ninth to the twenty-first floor are allotted for Citadines Cebu City serviced residences to be operated by The Ascott Limited. Other than Tholons, an India-based consultant for global outsourcing and investments, another property consultancy firm Colliers International reported that BPO firms still account for more than half of the office property market. Colliers noted the Cebu market for offices grew by over 57 percent last year and has kept a steady rise since 2013, this can be attributed to a combination of organic growth and the arrival of more BPO and new KPO (knowledge process outsourcing) locators. As CLI broke ground for the first phase of Base Line Center last Jan. 13, the contractor Dakay Construction and Development Corp. has started clearing the site and mobilizing its equipment and personnel in. 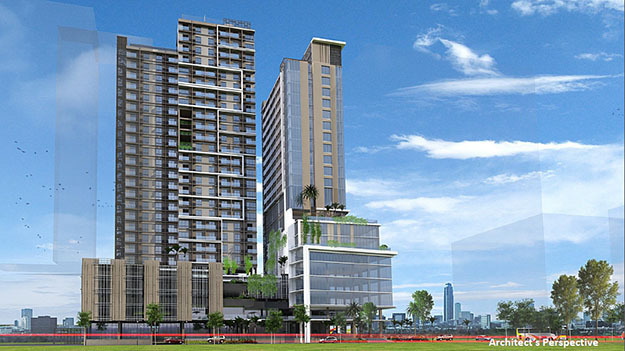 Tower 2 of the project named Base Line Premier will stand as a 27-storey residential condominium designed with contemporary architecture to maximize the best views of midtown Cebu with the units planned for flexible interior configuration. A P3 billion integrated development with four towers, Base Line Center is located along Juana Osmeña St. in a site already locally known as Base Line, a landmark in sports and recreation for locales and foreigners since 1973. The first two buildings under phase one will stand on a commercial area that will feature a supermarket and food and retail outlets surrounded by alfresco areas. Soberano hinted that phase 2 will include 2 more towers to complete the 4-tower masterplan of Base Line Center. This entry was posted on March 2, 2016 by Cerwin in Cebu Landmasters and tagged Ascott, Base Line, Base Line Center, Base Line HQ, Base Line Premier, Base Line Residences, BPO destination, Capitol Site, Cebu Landmasters, Cebu property, Citadines, Dakay Construction, DTI-7, Joe Soberano, Juana Osmeña, Nelia Navarro, preferred, preferred BPO destination, real estate, Tholons 100, Tholons Capital.